Britain's Ministry of Defence has opened up the most extraordinary sale on its website in order to bring in some much needed cash. The UK government is cutting spending everywhere, and nowhere is this problem more acute that at Defence, where the department has present commitments (in Afghanistan and Libya, for example) and was particularly heavily committed to projects by the previous government. Pulled in all directions, it has begun offering a great range of items and equipment at much lower prices than they were bought for in the hope of making up a multi-billion pound shortfall. At the top end of the scale, the aircraft carrier HMS Ark Royal, which ­originally cost £200m is being offered in an online auction and has so far achieved a bid of £3.5m. 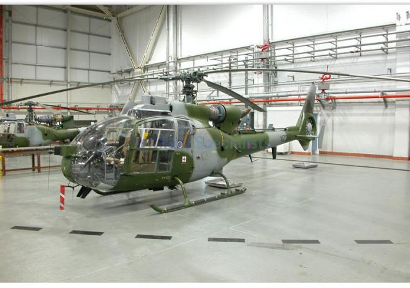 There are also some Gazelle helicopters on offer by direct sale (with a guide price of £75,000 to £175,000 each, or £2m for the set including 120 spare blades). 132 Harley Davidson MT 350 motorcycles are also to be offered. The bottom end includes everything down to stationary, with boxes of pencils being offered. There are also jackets, mattresses, a fridge and so forth all at second-hand prices. In between the two are some slightly surprising collectibles in the art and timepieces categories. The MoD has catalogued its extensive art collection, which includes renowned oils of Nelson, and is selling prints. These are not valuable per se, being offered at £18 a time. But some of the watches certainly are, being sourced from designers such as Dior and Maurice Lacroix. Why would the MOD require so many luxury wristwatches? These were handed out to intelligence officers and even the SAS to help them pass as sedentary and political diplomats. So the idea of a secret agent with an OMEGA timepiece in the style of James Bond turns out not to be as far-fetched as you might imagine. Generally these timepieces do not have grappling hooks or powerful magnets involved, (though some Maurice Lacroix pieces can do some pretty amazing things). It's intriguing to speculate on whether the items will have any additional value as the result of having been part of the MoD's inventory. Some MPs have been muttering that the MoD will find that they suddenly need to buy a lot of it again at full price. Perhaps collectors will be able to sell things back at a profit. "Have you got the time on you, mate?"